On December 21st, 2016, Mikayla Ann was involved in a head on collision while traveling up north with a friend and her family. 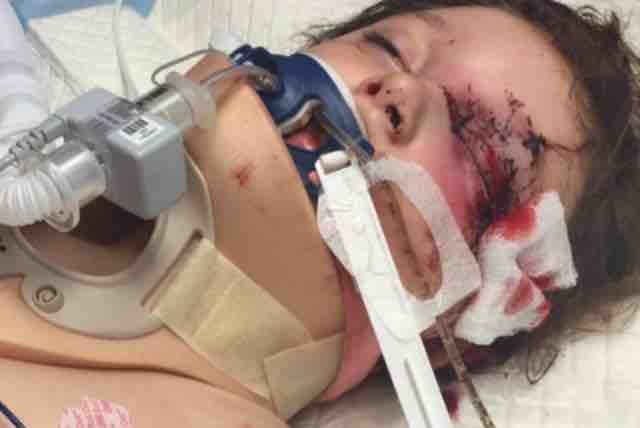 Fortunately, her friend and family were okay other than some minor injuries, but Mikayla was airlifted to Children's Hospital Minneapolis and placed in a medically induced coma. She is currently in the ICU being evaluated and treated for a traumatic brain injury. We are not asking for any money, but have been requested to start a fund for Mikayla so people could donate some money to Mikayla for a get well present, or something nice for Christmas in the ICU. Thank you to everyone for all your love and well wishes for Miss Mikayla, we all appreciate it more than you know. 2 years......the time has gone by so incredibly fast, and in some ways still feels like yesterday. I continue to be in awe of the progress Miss Mikayla has made and continues to make. She started middle school this year and has been doing well. She has an awesome group of friends, and other than the scar and minor droopiness of her eye - you’d never know anything happened. She continues to see a neurologist for headaches and an endocrinologist for her pituitary damage, but is otherwise stable and growing up like crazy! 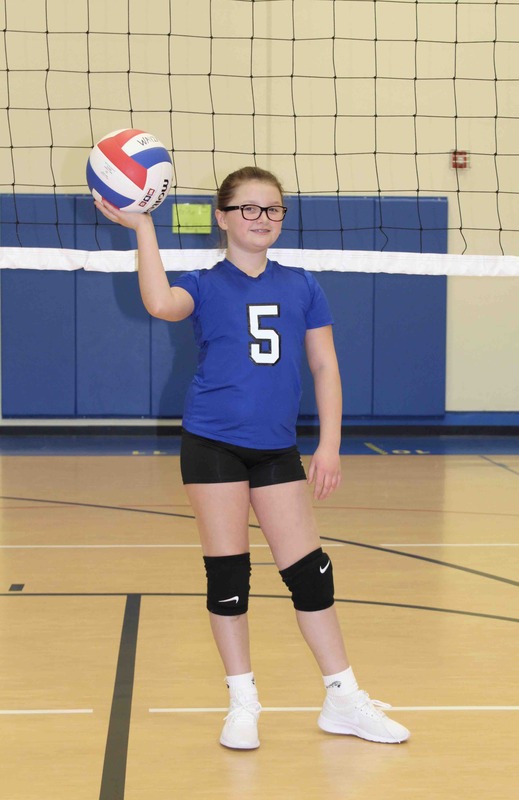 She tried out and made the volleyball team two years running now and continues to love being active regularly. I’m so so proud of my munchkin and looking forward to another year under our belt and continued improvements where we can get them. Thanks to everyone for the love and support as always! It’s been 506 days since the accident.....Very long days, some hard, some not so much, but most fall in the middle somewhere. We’ve been awaiting some closure, and that finally came today. We appeared in court and settled the lawsuit related to the accident. There is no celebration to be had, because truth be told, we really just wish this wouldn’t have happened. I’d give anything to reverse time. However, with the legal wrangling behind us, we can focus only on what we need to do for Mikayla to keep her on a good and healthy path moving forward. She’s moving on to middle school in a few short months. She’s developed a talent and love for volleyball and is looking forward to her first official camp (overnight, away from home) this summer. It’s been a tough 16ish months, but I can honestly say that all the effort and frustration have been worth it in the end. We’re getting to the point in which I plan to stop giving updates regularly. I made the decision that I will give one more update on Mikayla at 18 months post-accident publicly and then move on to updating people privately if they so choose. That being said, please feel free to email me (cmhallquist@yahoo.com) if you ever want to check in on Mikayla. The last update is coming June 21st! I’ve been waiting 365 (very long) days to write this post. We have made it to the one year mark officially in Mikayla’s recovery. I still remember everything about that day in intricate detail. I got the call at 6:38pm saying “we’ve been in an accident” and my regretful response was “are you kidding”? I think I went into shock immediately. When we first arrived at the hospital, we didn’t know what to expect. We beat Mikayla’s life flight there. We hear the call for the trauma team (which still to this day makes me tense up and cry when I hear it at Children’s). Next thing we know we’re seeing our daughter completely unresponsive with tubes and wires everywhere, covered in blood and completely surrounded by medical staff. We were given a bag of her mangled, bloody clothing that they cut off of her in the helicopter en route to the hospital. All I could do was stand there while people moved around me - it’s a feeling I hope to never feel again. That image, and those feelings, have forever been burned into my memory. It has made me cry a thousand times over (today included). I can vividly remember the face of every doctor, nurse, specialist, therapist, assistant, lab technician, child life staff and housekeeper we met at Children’s. I couldn’t remember all their names if I tried, but I could draw them all from memory still. Every single one of those people said that “a year from now will look very different.” Her neuro team used the one year mark as their measurement towards progress and that timeline has brought both strength and weakness. I remember feeling like one year was a lifetime away, and the hopelessness that followed was terrifying. I put on a brave face for my family and our friends, and of course Mikayla, but inside I was eaten alive by the reality that our lives were drastically impacted. I’m really not afraid of much, but losing a child has always been the biggest fear of mine. It still is, and will forever be. To see the progress that my amazing little girl has made in one year is nothing short of astounding. I’m in awe of her every single day. Even with her struggles that persist to this day, she starts every day with a smile. She is an amazing sister to Maleah & Miana and I’m so thankful that they all still have each other. 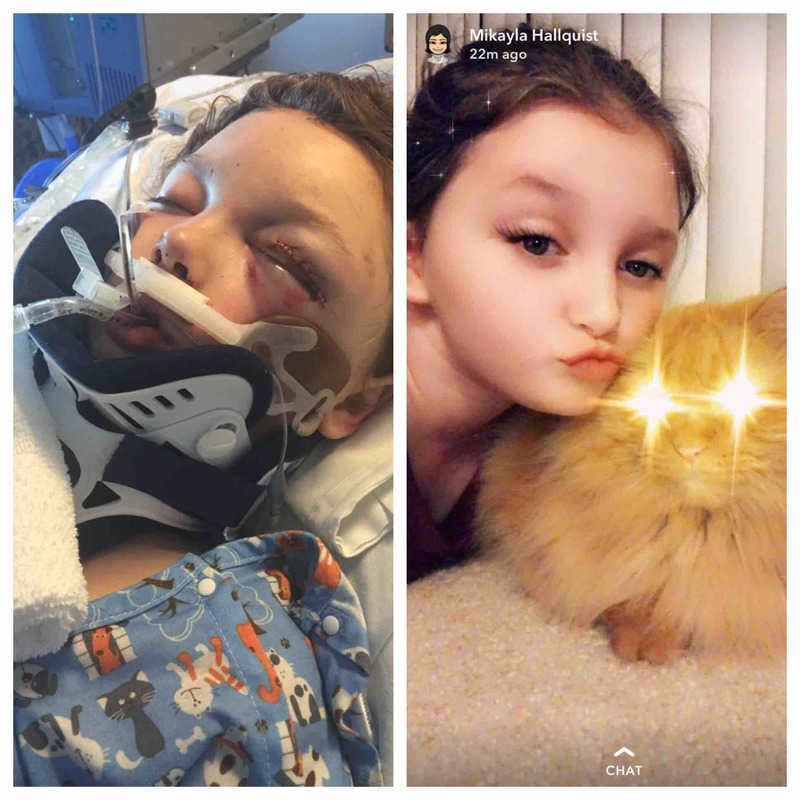 Officially, Mikayla had numerous diagnoses immediately following her accident: Traumatic Brain Injury, broken eye socket, multiple skull fractures, Diabetes Insipidus, and more. The fractures have healed, but the TBI and Diabetes Insipidus remain. In October of this year, Mikayla was evaluated for and granted an IEP and it has made school much easier for her. She is looking forward to getting to middle school next year. In the meantime, she keeps busy with not only school, but also district choir, volleyball and dance! We’ve decided that December 21st cannot hold bad memories for us. We have enough reminders of that day to last us a lifetime, but we can make it a day that is positive; for us, and other families. This year, we decided to raise money in addition to our own funds to provide food for the family lounge on the 6th floor at Children’s. It was a great experience for all of us and I’d like to make it a family tradition each year. We can’t possibly give enough thanks to Children’s Hospital. 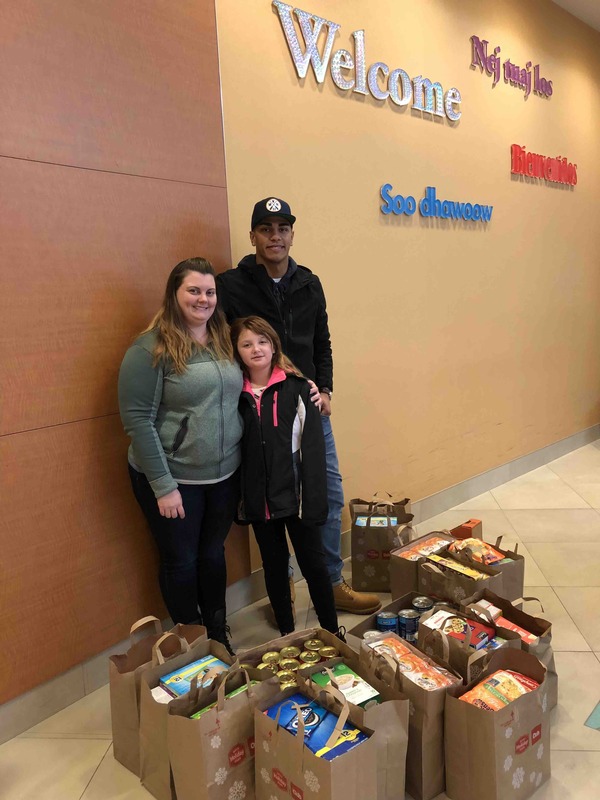 We were able to take $550 worth of food and a $500 check to Children’s Hospital - Minneapolis. What a special moment it was to be able to pay it back after such a profound experience for our family. To Ariah, Bob & Yza - we count you as more than family friends, you are family. It’s such a wonderful relationship the girls have and I’m sure it will be lifelong. They simply have another chapter in the story of their lives. To family, friends, co-workers, strangers that have supported us in any way they could - it is because of you that the year has been so amazing for our family, especially Mikayla. We are forever thankful that we have made it to the one year mark and hope that next year won’t be defined by a single date, but rather the sum of our experiences. We love and cherish everyone who has been there for us and we wish the happiest of holiday seasons to each and every one of you! As everyone on this page knows, In December 2016, our daughter Mikayla was severely injured in a car accident. She spent Christmas of 2016 in Children’s Hospital. She has made tremendous progress in that one year, all due to that initial stay at Children’s. This Christmas, we want to give back in her honor! While spending time at the hospital, we often had to dig to find very small snacks to eat, or order food at a significant cost to the family, or try to get down to Ronald McDonald House in time to catch a meal. There are “kitchenette” areas on each floor but they severely lacked actual snacks (peanut butter, bread, oatmeal’s and other easy to make foods). Funding is pretty limited to stock these kitchens for families. 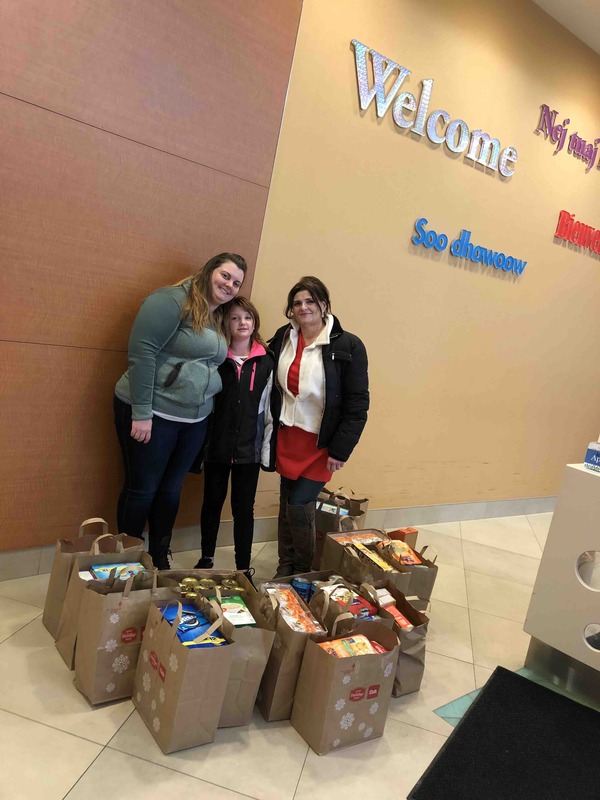 We are hoping to fundraise (in addition to our personal contribution of $500) to bring much needed snack supplies to both the PICU and 6th Floor of Children’s, where we were housed with Mikayla. If you were considering a cause to send some money to for the holidays, please consider donating a few bucks! 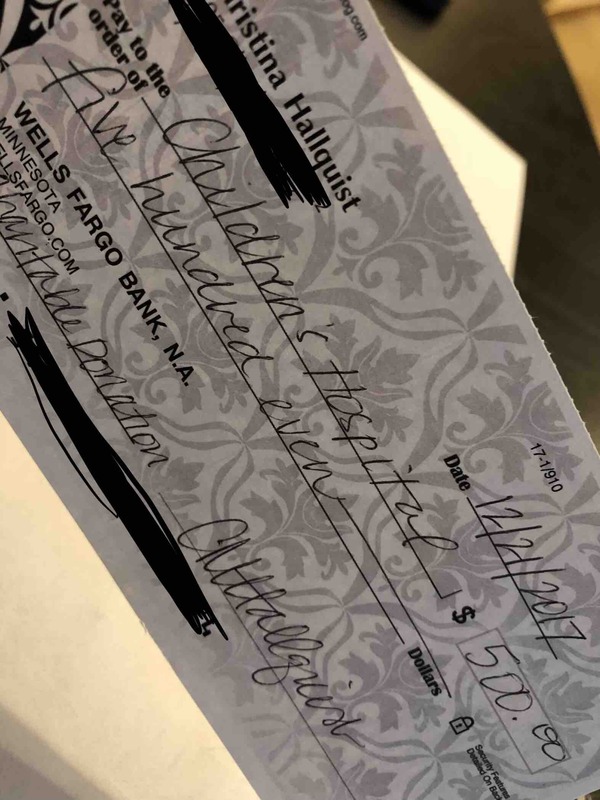 I will post updates so you see where your money went! I will keep the fundraiser open until December 15th - our goal is to deliver our goodies on December 21st, which is exactly one year from Mikayla’s admission to the hospital! Thanks in advance for any donations, no matter how big or small, and if you can’t afford it, please consider sharing with your family & Friends!! You may also donate on this page if you wish - the money will go to the same cause! This is my grand daughter's best friend. Please help. Thanks to Papa Michael for stopping by and letting me know about my friend! Bunches of my friends and I will be praying for Mikayla's recovery. There is great power in prayer. And Mikayla is a tough girl! Strong enough to enjoy beautiful things like butterflies, unicorns and the color pink and still have her own tool box filled with tools! My thoughts and prayers for you all! Has anyone started a Caring Bridge page as of yet? Just a thought...thanks for the updates! I work with Rob at DSF and was completely heartbroken over the news. I know it isn't much, but please know along with our donation, our thoughts and prayers are with your family. With love from Justin and Matt. Wishing for a quick recovery.